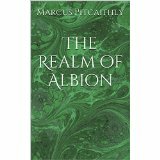 Marcus Pitcaithly has launched a new fiction series, beginning with The Realm of Albion. This series is sure to be a treat for anyone who loves British mythology and history. 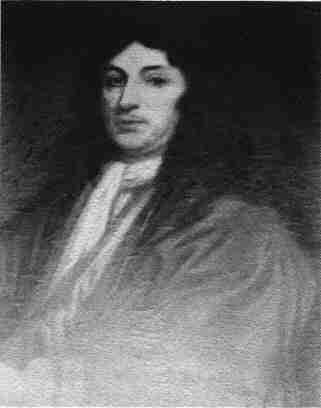 Educated at Oxford, Pitcaithly has had a lifelong interest in history, mythology, and the interplay between the two. He has previously written The Hereward Trilogy, set in England just after the Norman Conquest, as well as scholarly works on Shakespeare and medieval history. While a lot of authors have retold the Arthurian story, Pitcaithly has decided to go back farther and recreate its roots in pre-Roman Britain. The Realm of Albion, a retelling of the King Lear story drawing on Welsh sources – by Marcus Pitcaithly. Drawing on an impressive range of sources, including Shakespeare, but also The Welsh Triads, The Mabinogion, Geoffrey of Monmouth’s The History of the Kings of Britain, and the medieval French romance Perceforest, The Realm of Albion is a retelling of the King Lear story from the viewpoint of Lear’s forgotten wife, Penarddun. At age fourteen, this daughter of King Belin is sent to be wife to the elderly King Llyr, and the night before her wedding, she witnesses the famous scene when Llyr asks his daughters whether they love him. But while the basic frame of this novel’s plot follows the tale as told previously, plenty of twists are involved, and those twists are what made me fall in love with this book. Before Penarddun arrives at Llyr’s court, she stops at Avalon, where she meets Urganda, servant to the goddess Latis. Urganda tells Penarddun that Urganda’s sister, Gogoniant, was Llyr’s first wife and the mother of his daughter Cordelia. Llyr also had a dwarf son he claimed was stillborn and had exposed, although he doesn’t know that son survived and now lives at Avalon. Llyr’s other two daughters, Goneril and Regan, were born to his concubines. Therefore, Cordelia is Llyr’s only truly legitimate daughter, and she is significant as well because of her link to Avalon. For years, Avalon has been home to the Lady of the Lake and a religious center of Britain, but Llyr, in his lust for power and not wanting anyone to have power over him, invaded Avalon and forced and took Gogoniant away to be his wife. 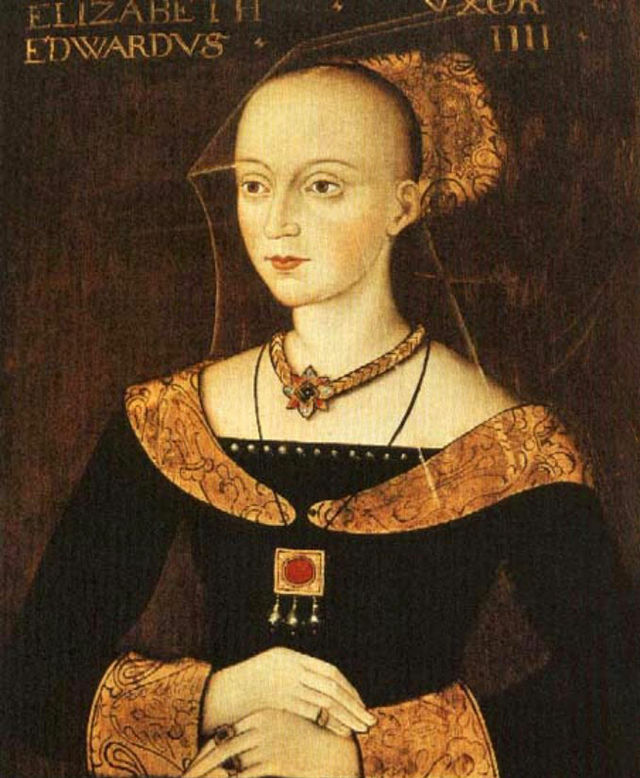 She was the rightful Lady of the Lake, and Cordelia, therefore, is her successor. The Lady of the Lake’s consort is known as the Penteyrnedd, and Llyr has taken that to mean the consort is also the High King. At the same time, he has made himself the enemy of Avalon, even if he has power over it. The well-known scene between Llyr and his daughters turns out to be staged. Cordelia has been told how to answer her father beforehand and she does so obediently. Llyr asks his daughters how much they love him and Goneril and Regan please him with their answers while Cordelia says she has nothing to add, resulting in her being disinherited. Llyr wants it this way to demolish the power of Avalon and the Lady of the Lake so he remains powerful. Penarddun witnesses and participates in the events that follow, which will be well-known to those familiar with Shakespeare’s play. In time, Goneril and Regan turn on Llyr and he goes mad, and Cordelia must return to set things right. I won’t say more about the plot because I don’t want to give away all the interesting changes and additions that Pitcaithly has made to the storyline. I did, however, appreciate the Arthurian elements he is planting in this first book. The sword Excalibur is introduced into the novel. We are told that when Llyr invaded Avalon, it was thrown into the mere to prevent him from obtaining it since it is the sword of the Lady and wielded by her consort. Without it, Llyr would not be the true consort. After Cordelia has set all to rights, the sword is found when the mere dries up. It is given to Cordelia’s husband, with the understanding that he serves the Lady and the consort’s title is now changed to Pendragon. Another interesting Arthurian element is the role of Merlin. Like Marion Zimmer Bradley in The Mists of Avalon, Pitcaithly uses “Merlin” as a title, but it is more than just a position. The “Merlin” in this novel is Awel, a young boy who is believed to be the god Mabon born in human form as happens every so many years. It is believed Awel fulfills this prophecy because he was born at the dawn of Beltane and because his father died three months before his birth, making him a “fatherless” boy. We are told that if Awel has the power of a god, a wise king will want him on his side, but a fearful king would want him dead. Consequently, his identity is kept from Llyr. Awel travels to Llyr’s castle as part of Penarddun’s bridal party, and when Llyr meets him, he thinks he’s a fool and has him dress in fool’s clothes. I really thought this twist on Pitcaithly’s part was brilliant since the fool in Shakespeare’s plays is typically the wisest person and utters prophecies, so it is a logical and intelligent twist for the fool to be the Merlin. Finally, I really appreciated the scholarship and effort that Pitcaithly put into writing this book. Having written Arthurian fiction myself, I know how much research is required and also how one has to take texts that are often vague, obscure, or fragmented, or storylines that have been embellished over centuries and sift through them as well as embellish them to fill in the missing pieces of the story. In his introduction, Pitcaithly remarks that it “feels almost like detective work, as if I am uncovering a true history from flawed sources.” That’s a feeling I know very well. He has taken a very minor reference to Penarddun in Welsh literature and created an entire novel around it. What’s to come next in the series? 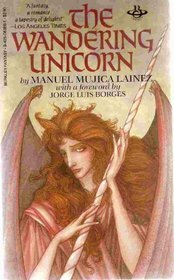 In his introduction, Pitcaithly tells us he was first inspired to write a novel about the Amadis legend based on his early reading of Lewis Spence’s Legends and Romances of Spain. Over time, he realized that despite that legend’s Spanish trappings, it felt distinctly Celtic to him. 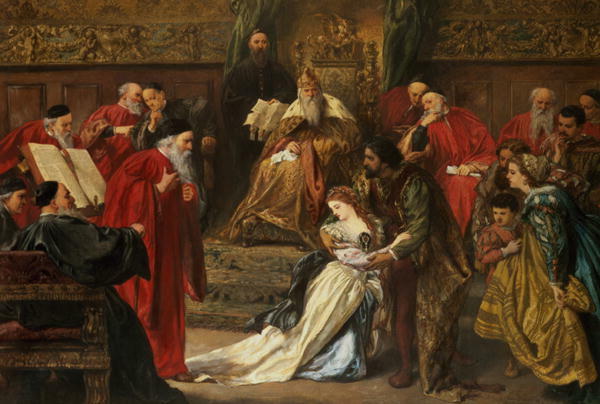 I am not familiar with the Amadis legend, but in The Realm of Albion, Pitcaithly mentions in passing a couple of times a young prince belonging to another royal family named Amadis—a clear sign that Amadis will figure in later books. But as for the next book, it will be titled Under the Clear Sky and will bring in characters involved in the Sertorian War and the Spartacus revolt, as well as covering the reign of Cordelia and the rise of Bran, son to Llyr and Penarddun. I highly recommend The Realm of Albion. It is wonderful to see the fragmented stories of the ancient Britons given new life and to have someone enthusiastic and knowledgeable about his subject put together the pieces to create a compelling story for modern readers. 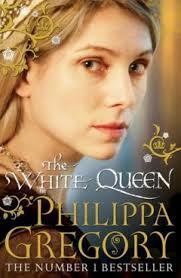 Anyone interested in ancient British history or the Arthurian legend will enjoy this book. I don’t know of anyone else who has taken on such a grand and scholarly undertaking to explore in fiction the pre-Arthurian period and even pre-Roman period (the novel’s action takes place around 80 B.C.E.). Marion Zimmer Bradley, of course, wrote her Avalon novels that were prequels to The Mists of Avalon, but with the exception of Ravens of Avalon, completed by her successor, Diana Paxson, I don’t feel those books were very successful or convincing, and they did not have as authentic a feeling of ancient British lore as what Pitcaithly brings to this retelling. With a large cast of bigger than life legendary characters, new twists on old tales, and plenty of Arthurian references, The Realm of Albion is a fabulous start to a fascinating new series. I look forward to reading the next book. The Realm of Albion is available at most online bookstores. For more information about Marcus Pitcaithly, visit http://marcuspitcaithly.wix.com/marcus-pitcaithly.